Easter is just days away. My kitchen fills with the sights and smells of Holy Week baking just like my mother and grandmother's kitchens before me. 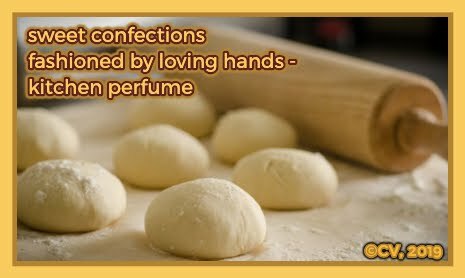 I recall these women, my creative baking mentors whose hands lovingly crafted honey dolls fashioned out of dough, Easter bunny cakes with just the right amount of coconut, and mounds of delicious cookies. Their artistry was well known in their neighborhoods. Remembering the Easters of my life, I bake for family and friends to celebrate the spiritual and temporal joys of the Easter season. Messy baking tins, bowls filled with different colored frosting, and platters of chocolate dipped cookies waiting for the finishing touches are lined up. From my mother and grandmother, I learned that the presentation stage is an important part of the creative process. Usually, I take photos of my finished creations but there was such a rush this morning that I had no time to photograph the Easter week treats that were carefully placed in an open weave, spring-green plastic basket laced with a pink bow. Easter filler was placed in the bottom of the basket. On top of this, I stacked chewy brownies, different varieties of chocolate chip cookies, and Easter eggs of brownie dough covered in yellow, buttercream frosting with a touch of Triple Sec, and finished with a layer of coconut. I was pleased with the presentation and so were the recipients. Baking by Phoebe Boswall is a fitting poem that shares the experience of baking and remembering a loved one. Your warm kitchen my safe haven. playing baker, standing by your side on summer days. was my childhood playground and learning ground. I remember your wisdom with each cookie I create. 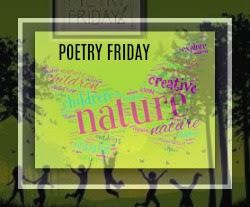 I join the delightful, children poet, Amy Vanderwater at The Poem Farm for the Poetry Friday Roundup as National Poetry Month continues. The sun peeked out from behind grayish clouds and for that moment, I felt giddy and adventurous. "Let's go to the boardwalk!" With that quick morning greeting, I was outside in a flash, aching for a chance to feel free with hair blowing in the air. I pulled out my sunglasses at the same time my husband rolled down the windows and off we went. The sun continued to brighten until we neared Long Beach - a hazy light was visible amidst the gray sky. By the time we arrived on the boardwalk, an intense fog hovered, reminding me of Carl Sandburg's poem, Fog. As we made our way to a railing overlooking the beach, the ocean was not visible at all. In the many years that I have lived here, I have not seen such haziness encapsulate the sea. A man on a bicycle came rolling by laughing and calling out to bewildered beachgoers, "If we could see, we might be able to find the ocean." Determined, I proceeded to capture what I could or could not see through my lens, even though there were stretches of nothingness beyond the beach. The word, nothingness, was circling back to me. Before leaving the house, I engaged in the #SpiritChat Sunday morning Twitter convo. Was Kumud Ajmani's opening question meant for this boardwalk encounter? 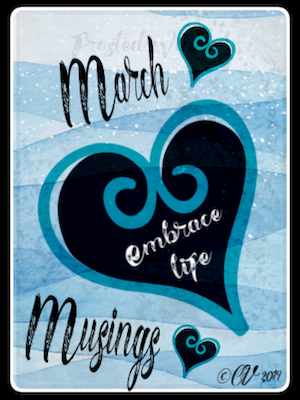 "On Celebrating Nothing(ness)" - what does the phrase evoke/inspire within you today?" My response seemed fitting for a coming-into-the-fog scene. "Nothingness is a state of calm, resting in the joy of living." No one at the beach seemed to be concerned about the fog and they were certainly enjoying the day. Surfers were fully dressed hoisting their surfboards above their heads. Youngsters were rollerblading, others bicycling. There were even children barefoot in the sand. A few large trucks were making their way horizontally in the sand, trying to level it out. This joyous spring happening on Palm Sunday gave me the inspiration to finish my one line for the annual Kidlithosphere Progressive Poem. Today, was my day to add a found line from a song. You can see the poem in progress at my site under the title 2019 Kidlithosphere Progress Poem Continues. 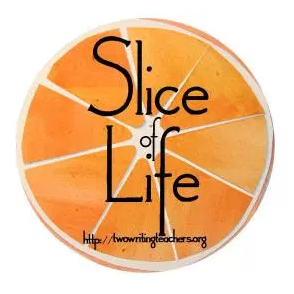 It is Slice of Life Tuesday at Two Writing Teachers so I am ready to add this slice. 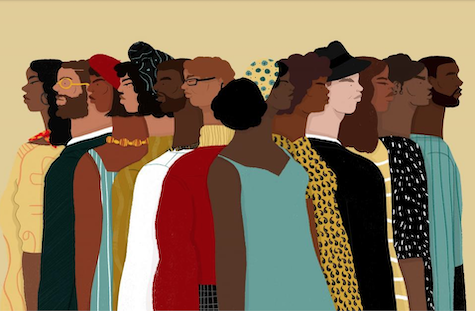 Today, it is my honor to continue the journey of the 2019 Kidlitosphere Progressive Poem, an annual tradition of our poetry community. 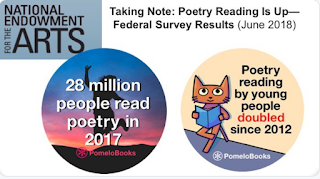 At the beginning of National Poetry Month, 30 bloggers, poets, and children's writers joined Irene Latham's challenge to write an original poem. Matt Forrest Esenwine began the process with a creative move. Using found lines from song lyrics, he created line 1 of the Progressive Poem. Other poets followed in suit, adding their found lines from songs that resonated with them, making each line unique. Each day the Progressive Poem grew, I felt a little bit more nervous. After all, growing up I always enjoyed listening to music but did not know lyrics for sing-alongs. I questioned if I could find lyrics that would fit so I began searching for possible songs, like Chad and Jeremy's A Summer Song and Ella Fitzgerald's Summertime. 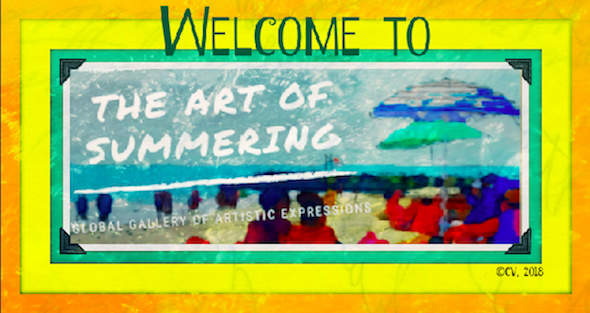 Song titles from my summer galleries and accompanying lines started filling my digital journal. Then, on Palm Sunday, when the sun peeked out behind the clouds, I decided to take a spontaneous ride to the boardwalk. Christie Wyman just posted her line, "I wanna fly like an eagle, to the sea," so off I went with my husband! 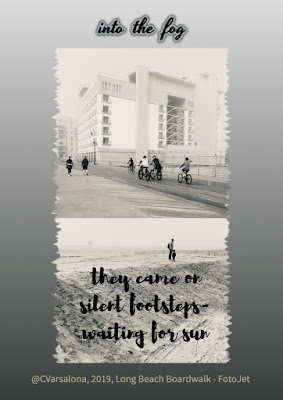 The Long Beach Boardwalk was surrounded by a dense fog making the ocean not visible but I could hear the sounds of the sea and sky and smell the fresh salt air. The quick trip energized and inspired me to write. I woke on Monday morning, looking for day 15's blog by the amazing poet and creative artist, Robyn Hood Black. Her line made reference to the Masters Tournament and a song from a 1985 movie revolving around America's favorite pastime. My immediate thought was "Really Robyn, a tiger!" While I loved the line, I thought of it as an interesting curveball so, with expectation, I took a swing at how I would like the poem to progress. 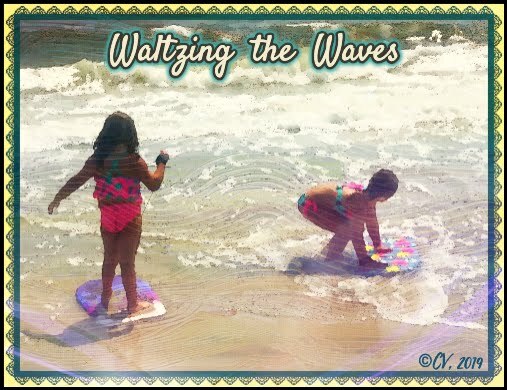 I wanted to keep the summer vibe from a child's eyes. I thought about little ones I saw playing in the sand on Sunday and my grandbaby who loves music and lullabies. It was then that I found Song of the Sea, a lullaby that featured a recurring question and descriptive action. By Monday evening, I decided that the question from "Song of the Sea would be the beginning of line 16 but flipflopped between two Mary Poppin songs and another specific action line from the lullaby. When I reread the stanza orally for one more time, I realized just what I felt I needed. Are you ready for line 16? While it is long, I wanted the end of the stanza to be a visual invitation with action. I offer the line to you now. Please feel free to comment. 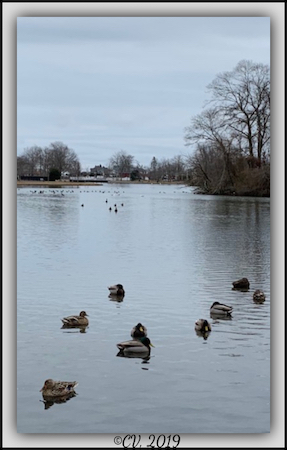 L. 2 The Beach Boys, 'Fun, Fun, Fun'/Dean Martin, "When You're Smiling"
L11 The Carpenter, "Top of the World"
April Schedule - If you are interested in the backstories of each Progressive Poem writer, please visit the sites linked below. It's National Poetry Month and I am taking every opportunity to #thinkpoetry. Come and take a peek at what I have been delving into this week. 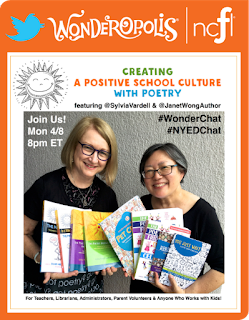 The week started off with an amazing combo chat between #WonderChat and #NYED Chat. Sylvia Vardell and Janet Wong were our esteemed poets/publishers/co-hosts. Their publicity flyer, questions, and ability to respond to attendees were commendable. I thank not only Sylvia and Janet but our Poetry Friday members who engaged in the chat. I am planning on writing a separate post about this awesome night of committed and passionate voices rising to #thinkpoetry. 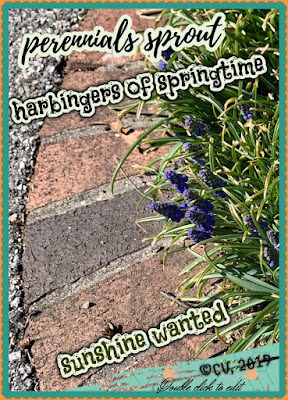 When I read about Mary Lee Hahn's plan to spend the month PLAYING WITH POETRY at her blog, A Year of Reading, I decided to dip into my bag of paint chip samples and play along. After all, I had created an activity for teachers to create their own paint chip poetry exercises, so I set out to do the same. I dipped into my bag of samples and chose seven titles. 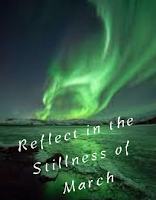 Splash Of Teal, Solemn Silence, Garden Vista, Cotton Sheets, Clear Sailing, Faded Denim, Winds Breath, were interesting choices for me to play with and create a poem, a Buncee, and a Lumen 5 video. Creating a Buncee, a creation and presentation tool for students and educators is always a fun prospect. 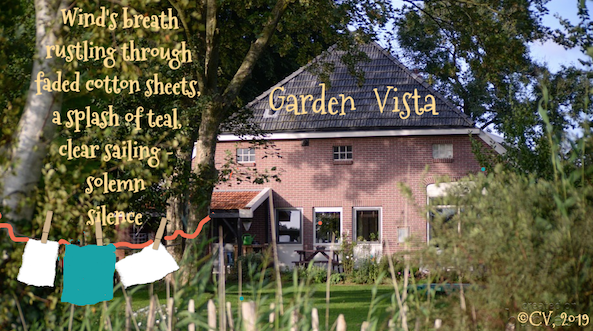 I added a background, a clothesline, and my poem to make my the Buncee more visually attractive. Next, I created a Lumen 5 video, a fluid approach to blending poetry with media. Now, after the 2nd poetry chat of the week at #ILAChat, I am off to connect with my Poetry Friday friends at Irene Latham's blog site, where she continues with her own National Poetry Month project, ARTSPEAK: Happy! series. Playing with poetry is a delightful experience that allows me to try out different creative moves that are pure fun. Meet me on Instagram, FaceBook, and Twitter to #playwithpoetryNPM) and #thinkpoetry. an in and out treat. I request your time to meet. but not deluged with chance floods. and Warmth add sweet heat. This letter to Spring was written on Monday morning. Perhaps, Spring listened to my requests because the sun appeared in the afternoon. Yesterday, sunshine brought out the best of what early spring offers: a time for renewal. Landscape crews were buzzing around the neighborhood, revving up their engines, preparing the earth for its rebirth. Winter jackets were shed and sweaters placed in cedar closets. Spring cleaning was the topic of morning talk shows. Everyone was readying themselves for a fresh look on life as the last vestiges of winter were disappearing. 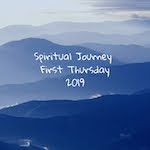 While the earth was busily preparing for a quick changeover of color from monochromatic gray days to brilliant springtime hues, the heart, spiritual center of the body, was also seeking inspiration. As I looked at my seasonal photos, I thought about the transition from winter to spring, realizing that nature understands renewal! Hope finds a resting place in spring, the season of rebirth and renewal. This year, it coincides with the Lenten season. 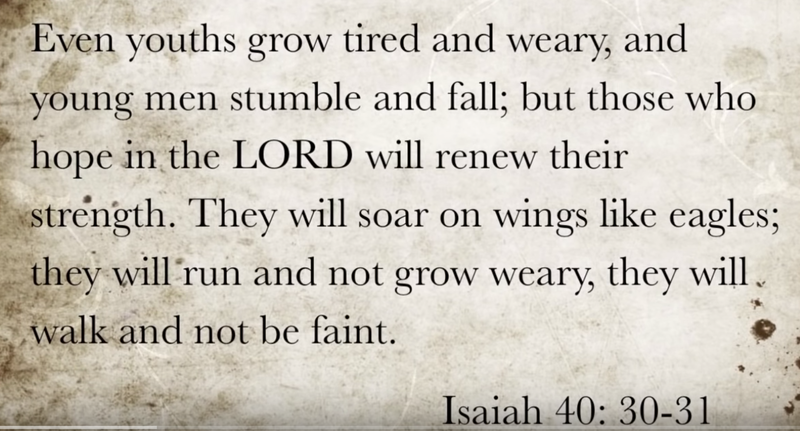 The following verse brings a message of hope. 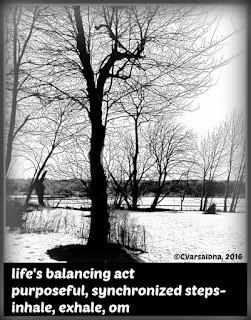 "How is the act of renewal making itself manifest in your life presently?" I have already started sweeping away winter's dust, opening windows, and breathing new life into old routines. 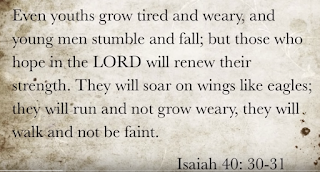 With hope in my heart for a spring that restores life and rejuvenates energy, I shall listen and continue to grow in faith. During National Poetry Month, voices rise. It is my plan to unveil both my Abundant Autumn Gallery and Winter's Embrace Gallery during National Poetry Month. Stay tuned for those vivid displays of nature's enduring majesty. This week I wrote poetry daily but due to my second bout of acute sinusitis and professional development commitments, I felt the need to merge my thoughts for two writing communities on this eve of Poetry Friday. I am also joining the host of Poetry Friday, Karen Edmisten who is sharing a beautiful poem, Late Echo by John Ashbery, that fits so well with my thoughts tonight. There will be 3 Giveaways. I will be moderating for #NYEDChat and would love for our poetry friends to chat with us. Stop by and raise your voices to poetry. 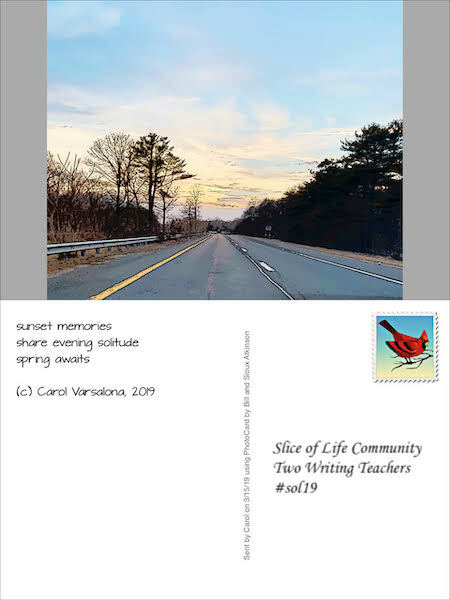 While the March Slice of Life challenge came to an end, writing still lives on in daily practice, for April is here with National Poetry Month. Celebrating Writing, Dandelion Dreams, and A Wee Bit of Luck! 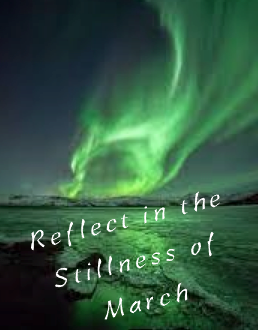 Reflect in the Stillness of March. It Looked Like...But Grateful for. A Fresh Perspective on Black History Month. Spring Is In The Air! 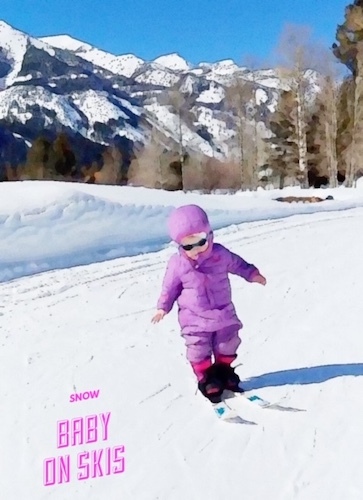 Snowfeet Balance. A Wisher and Hope-er I am! Did you recognize some of the lines from my found poem? They are from all of my March blogs for Two Writing Teachers Slice of Life Story Challenge. 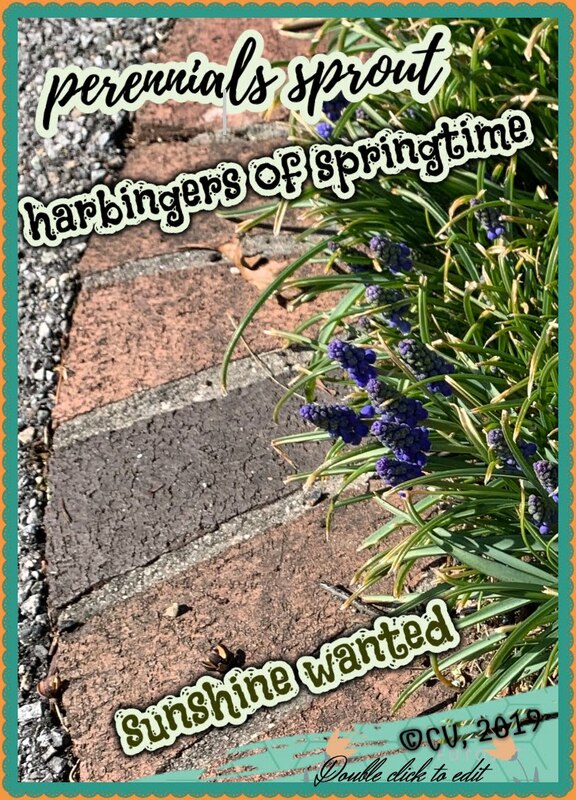 I saw on one of the slicers' blogs that she took the titles from her March posts and created a poem (sorry but I did not write down the name of my slicer friend who shared her poem of found titles). I found the blending of blog titles to be challenging but interesting and fun so I drafted one and then revised and revised until I completed what I set out to do. 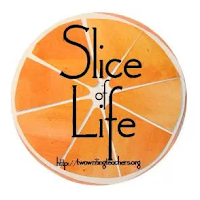 Happy Slicing to all my Slice of Life friends.